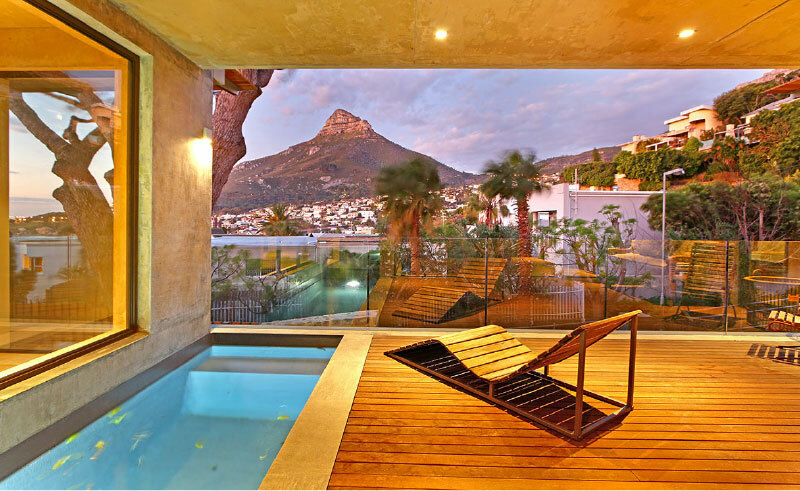 Home / Uncategorised / Available Cape Town Luxury Properties, for your New Years stay! December and January is the height of Summer in Cape Town. The weather is hot and sunny, the beaches are in high demand, and everyone is in a festive holiday mood. 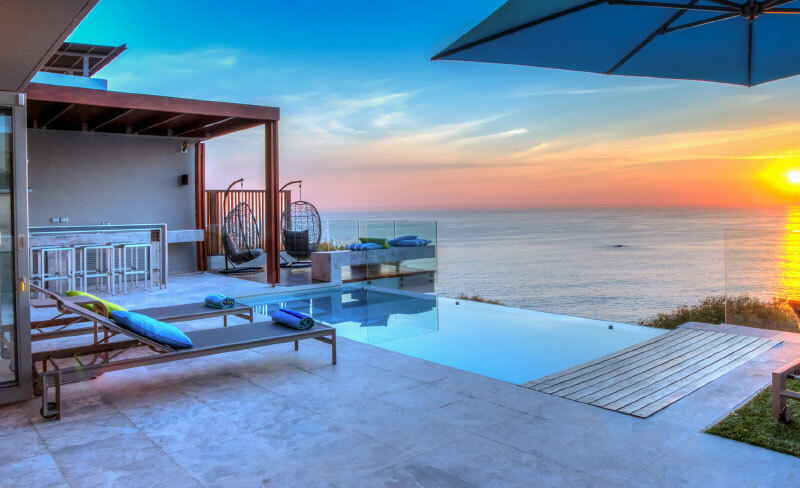 Spend this time with your family and friends in a private villa, large enough for you all to be together while you laze by the pool, dine alfresco, or simply enjoy watching the sunset over the Atlantic Ocean. Availability is scarce so we encourage you to book as soon as possible. Generous designer chic living areas flowing out onto expansive entertainment terraces with lounge/relaxation zone, glass sliding doors creating unique indoor/outdoor living spaces. 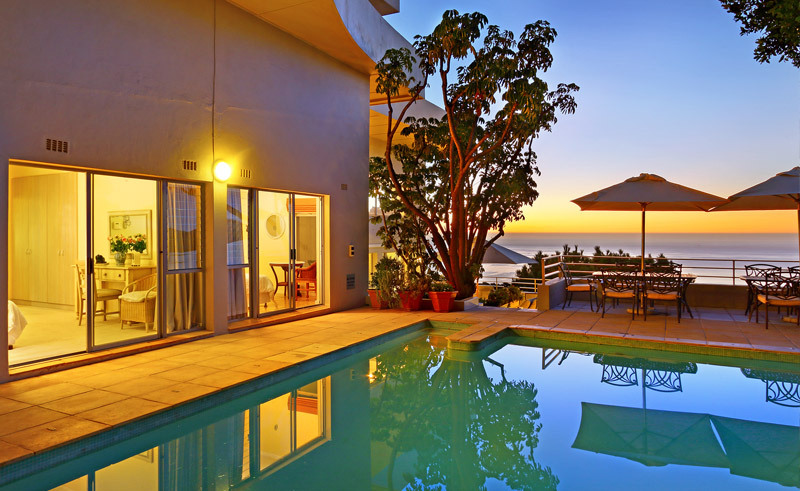 An extraordinary Camps Bay villa widely acclaimed for its integrated design, Sense of Peace comes fully staffed including a butler, continental breakfast, gym and cinema room. 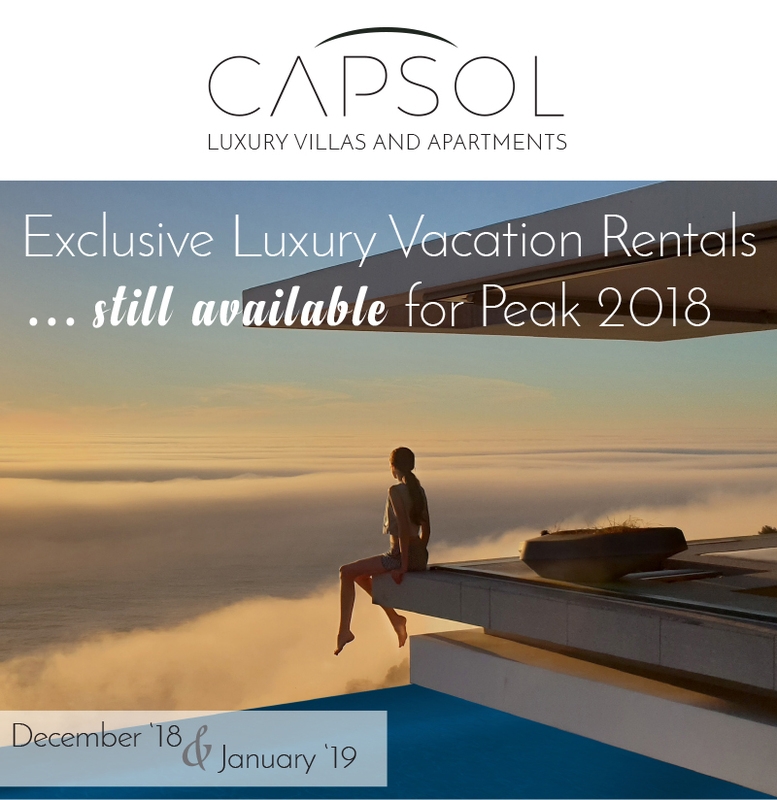 Villa Stanleon is a multi-level villa, centrally situated with a panoramic view of the ocean and mountain range. 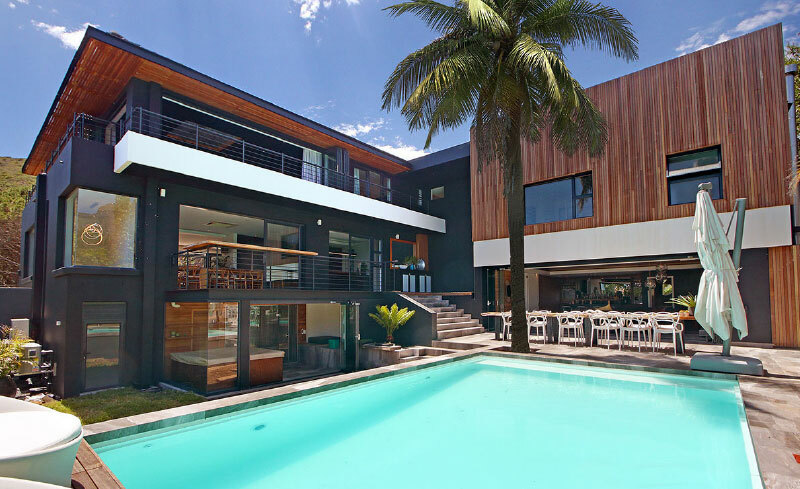 This spectacular 6 bedroom villa is perfect for large families or groups. 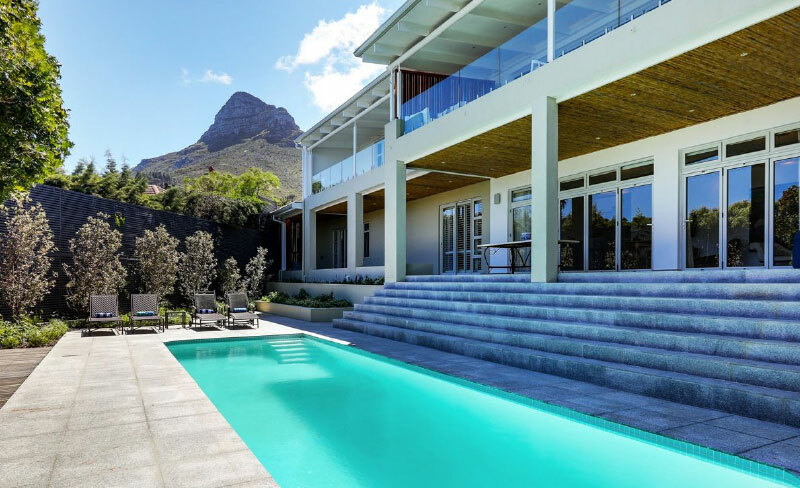 Constantia Vine has amazing views stretching from False Bay to the Hottentots mountain range as well as the back of Table Mountain. Boasting a contemporary design that makes the most of the stunning scenery that surrounds it, 19 on Blair is a double storey villa that is almost too good to be true. 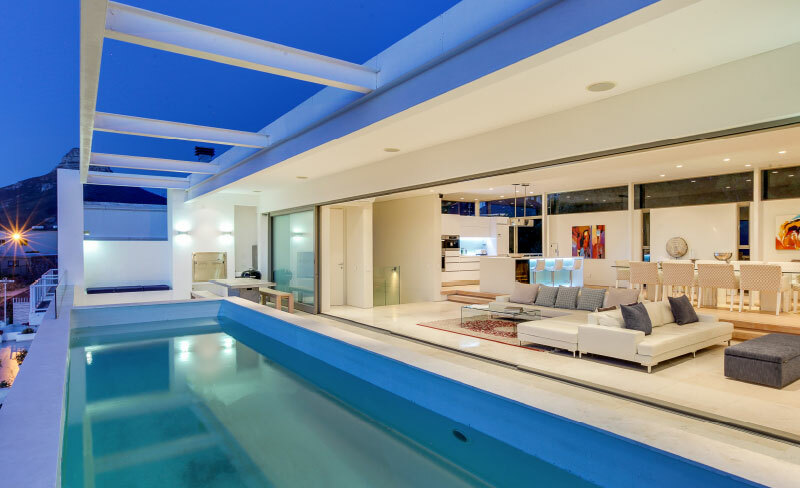 This exquisite five-bedroom Villa can only be described as breath-taking! 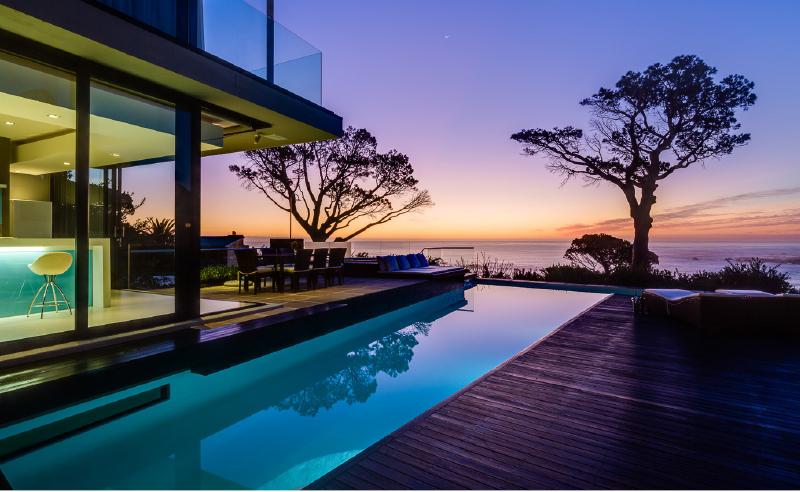 Taking luxurious seaside living to new heights, Aegea in Bantry Bay, encompasses pure opulence and glamour for the most discerning guests. 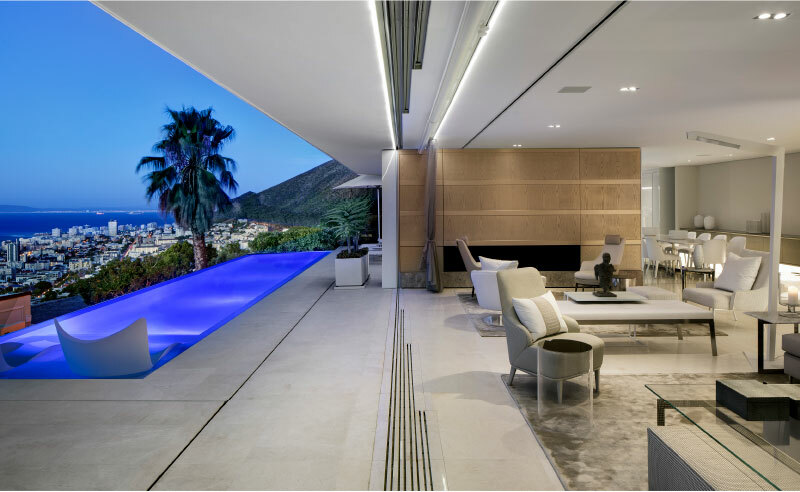 Situated in the quiet side streets of Camps Bay, this majestic Villa is bound to impress with its architectural layout designed to maximize the view and enhance functionality. 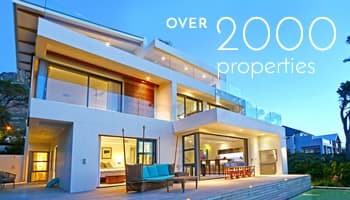 Shanklin is a spectacular villa situated in the sought after Camps Bay area. This villa is perfect for families or larger groups and will ensure you have a fabulous holiday. 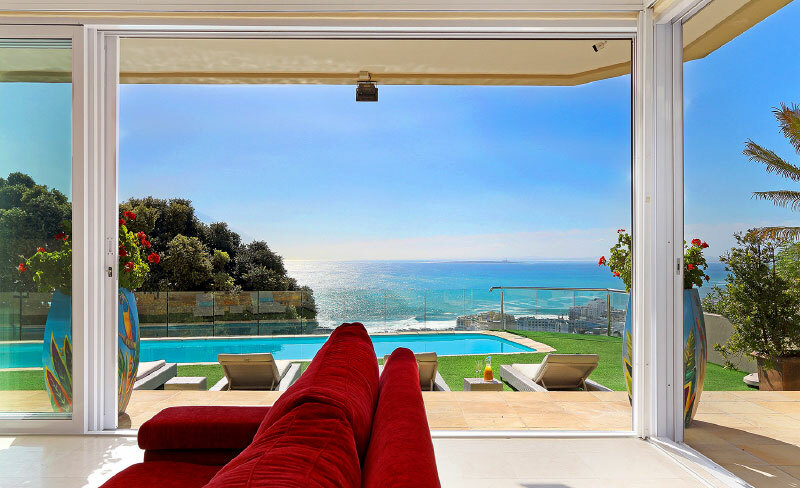 A spectacular 5-bedroom property, boasting panoramic views of both the ocean and mountain range. Uniquely designed to ensure privacy yet plenty of entertainment area’s for each guest. 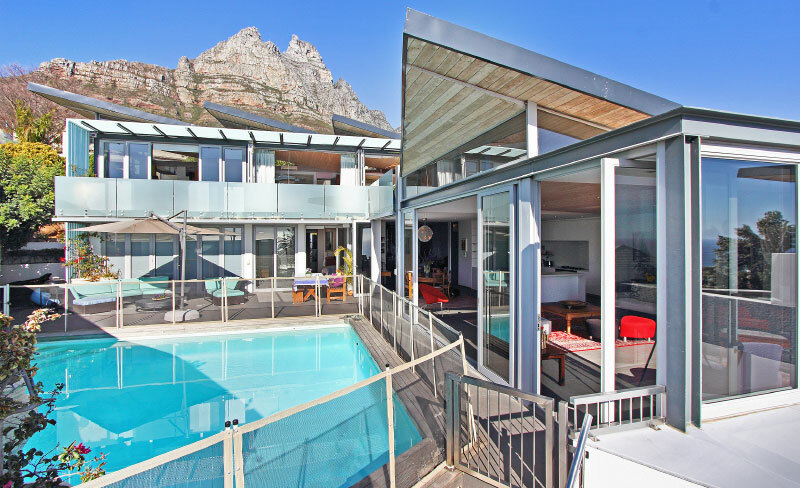 Located in an area of Camps Bay that offers shelter from the wind, LionsLair is a wonderful holiday sanctuary of seamless indoor-outdoor living, truly an entertainers dream house. 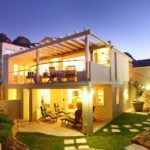 Set high on the slopes of the Twelve Apostles (the Atlantic Ocean side of Table Mountain), it enjoys prime views of Lion’s Head and sweeping views of the ocean, to Oudekraal along the south west coastline of Camps Bay.